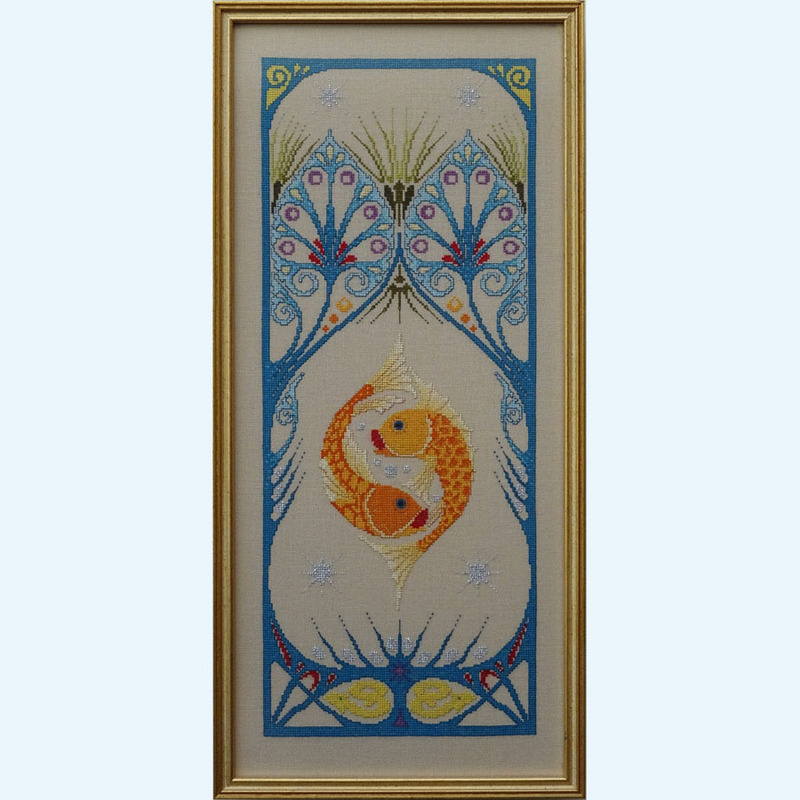 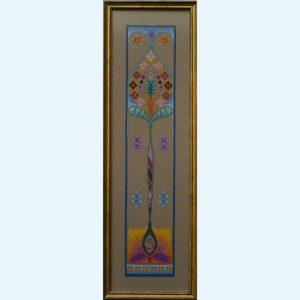 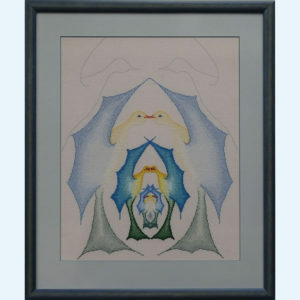 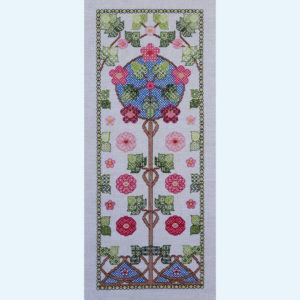 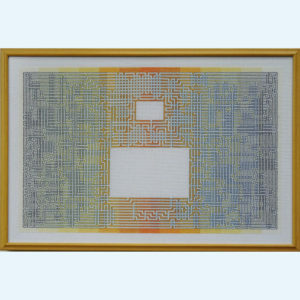 Art Nouveau cross stitch pattern with two gold carps. 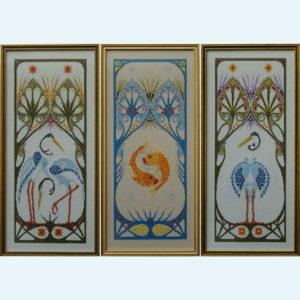 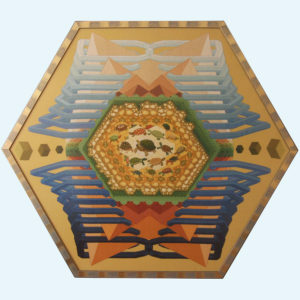 This is the second pattern of a triptych in Art Nouveau. 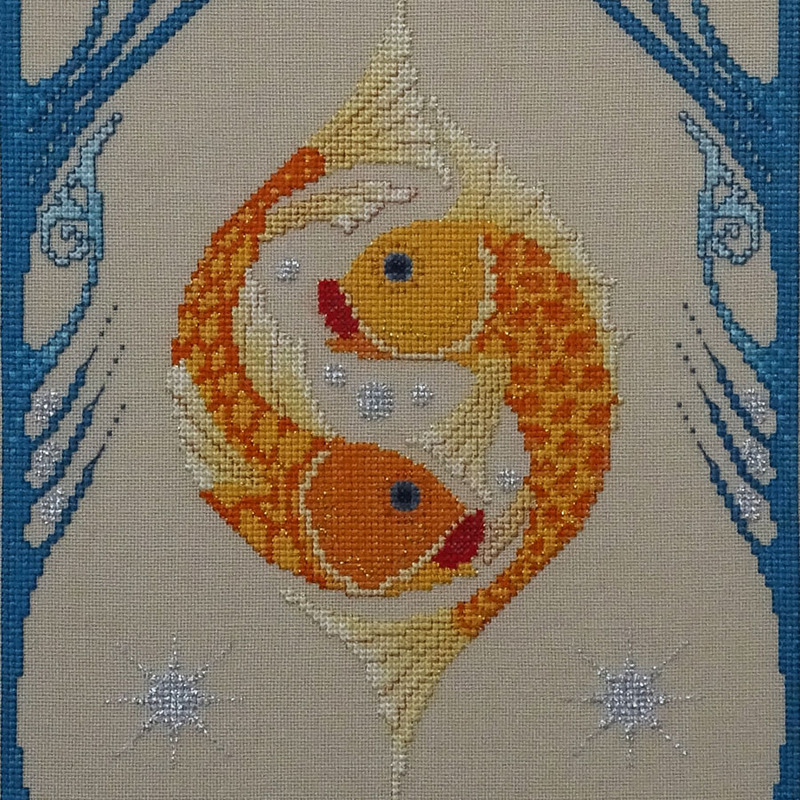 In the pattern you will find a convert list to DMC and three colours Kreinik Metallics Blending Filament.